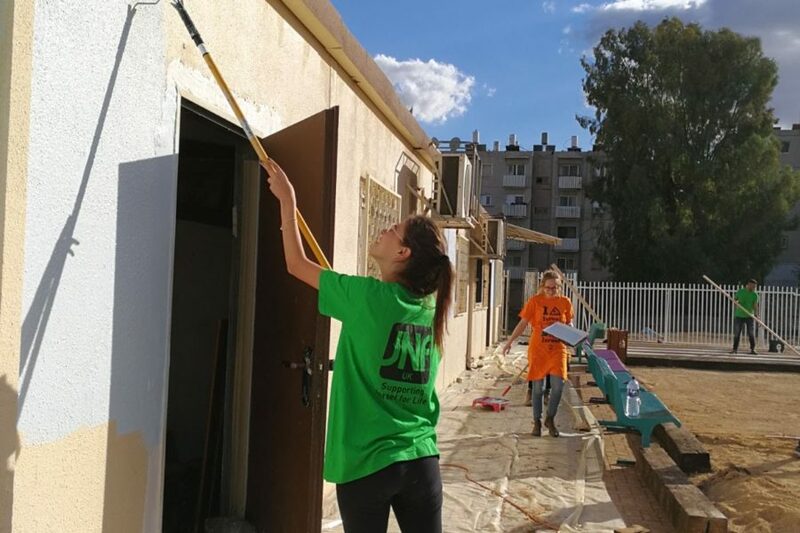 Volunteers have played an integral role in the building of Israel and are a key component in the success of JNF UK’s work and the future of the Jewish state. 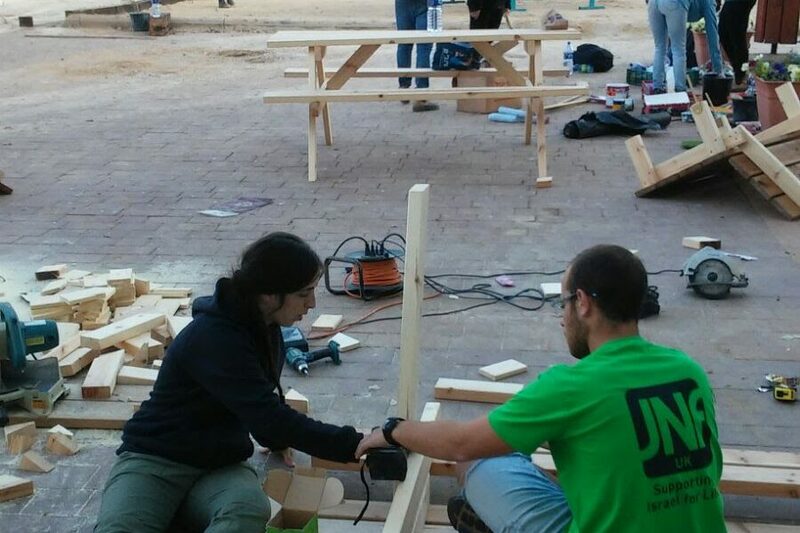 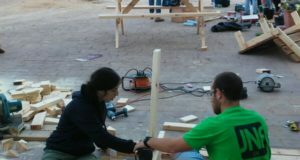 As a result, JNF UK is promoting a professional volunteering programme, across Israel. 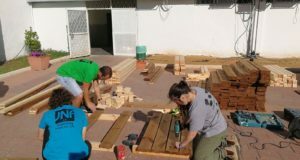 This innovative scheme enlists volunteers to work on JNF UK projects and often involves the project beneficiaries as volunteers themselves. 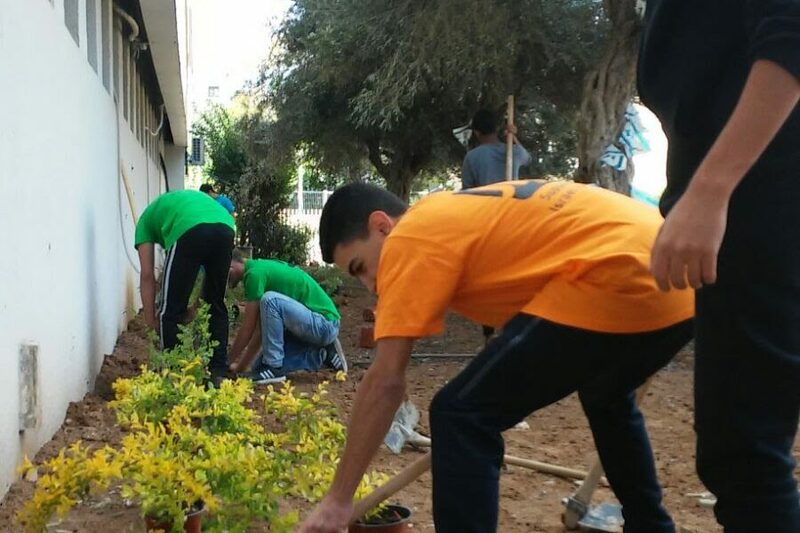 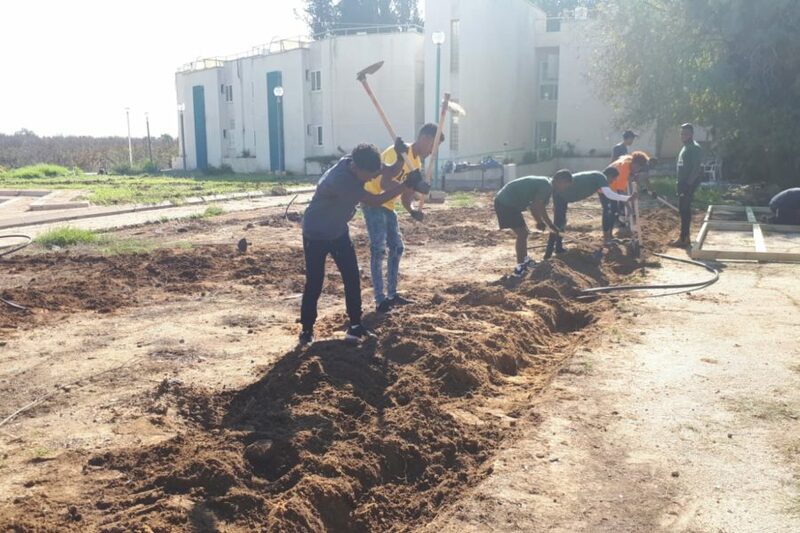 The programme provides a means for young people to make an immediate and lasting contribution to Israel’s success, strengthens their connection to the land and helps develop their teamwork skills. 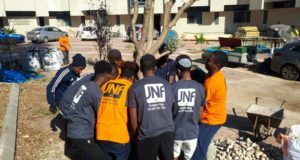 In addition, it enables JNF UK to make each pound donated go further by making great savings on labour costs. 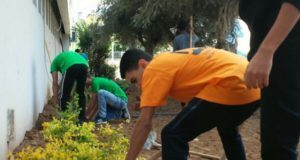 “All our activities are precisely organised, all along with the beneficiary. 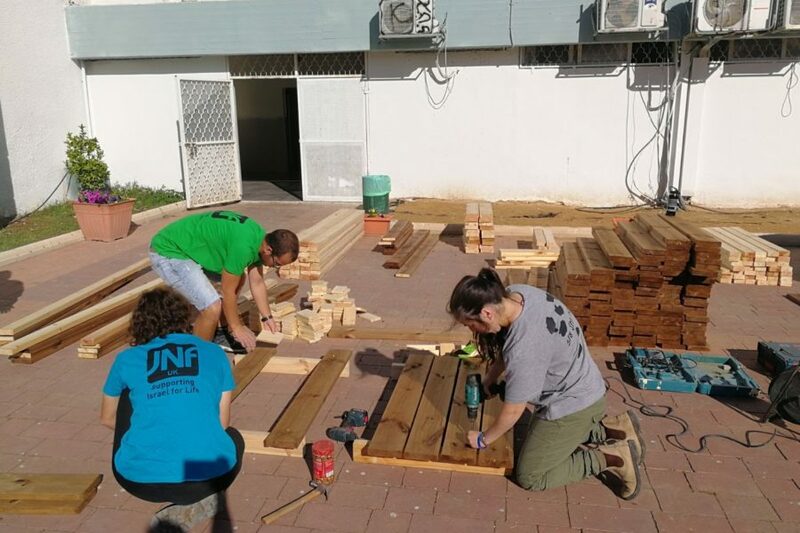 JNF UK provides professional planning, guidance and execution methods, all learned with much experience.” Says volunteering project manager at JNF UK, Elad. 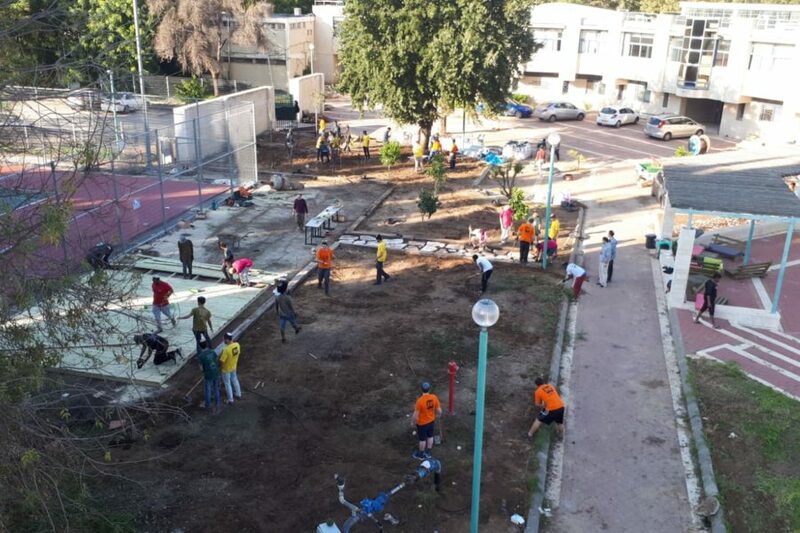 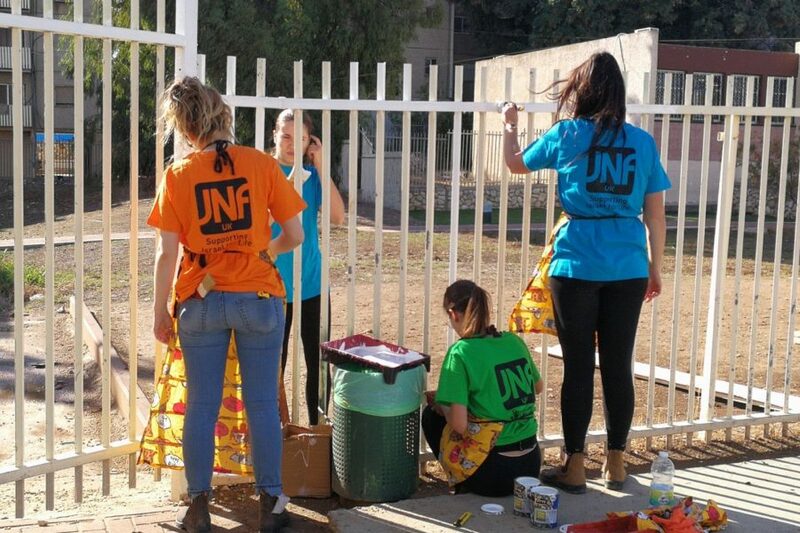 During volunteering days teams carry out work including painting, carpentry, decorating and garden landscaping for a wide spectrum of JNF UK projects, benefiting the young to the elderly and communities large and small. 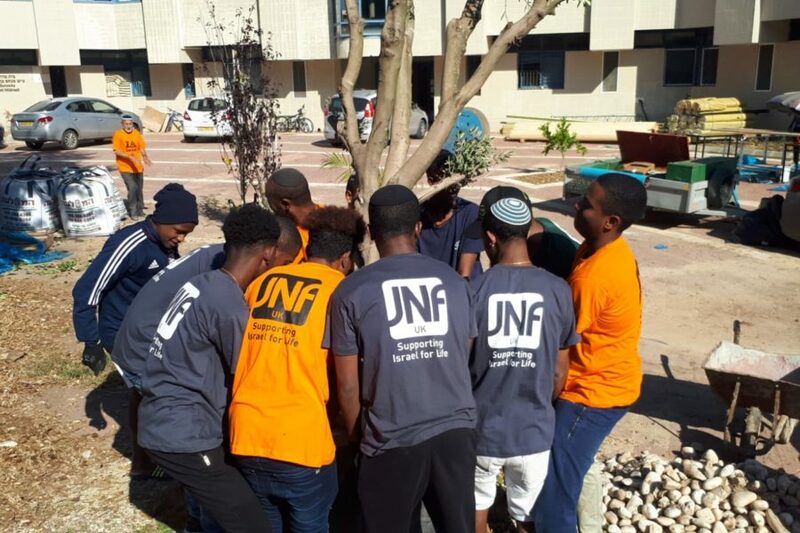 Through the programme our volunteers have attained a magical connection with JNF UK.Their excitement and dedication to our projects is inspirational and it is great to see support from so many individuals who come together to achieve similar goals. 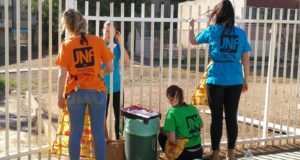 JNF UK also provides volunteering on an ad hoc basis in times of need. 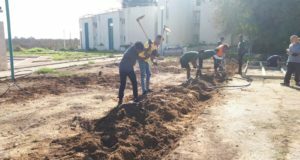 In 2018, we took a group of 500 volunteers to Kibbutz Kerem Shalom, on the Gaza border, following a barrage of rocket attacks. 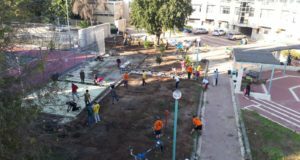 Volunteers completed an extreme landscaping makeover and offered vital support to the community. 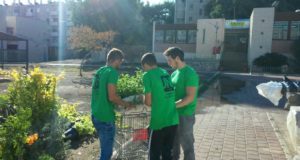 JNF UK would like to expand the programme to provide more volunteering opportunities and support for communities in need.